Chicco D’oro is the expression and the result of a “coffee culture” which is crowned by the establishment of a coffee museum. 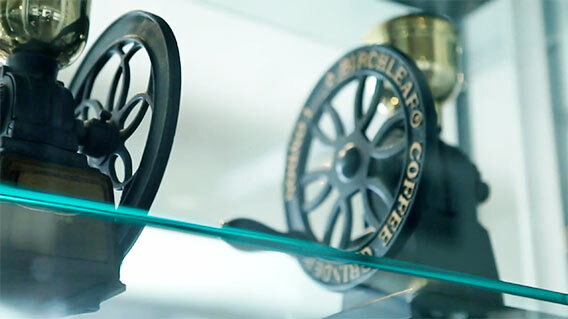 We built this museum at our place of business in Balerna to preserve and bring to life the history, the value and the significance of this precious beverage. A visit to the museum will certainly be an interesting experience. 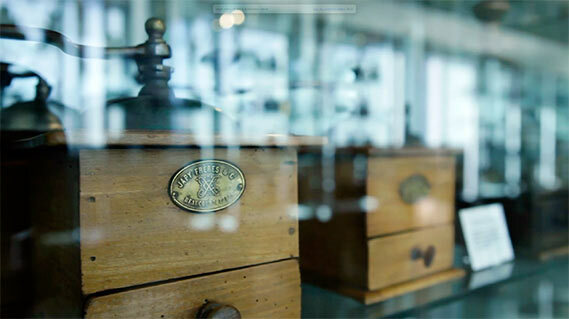 The museum was established because company founders’ are passionate and love this magic product and they wanted to preserve and cherish the centuries-old tradition and history of coffee.This museum is certainly one of the best appointed and most representative museums in this sector. The museum was inaugurated back in 1989 and today exhibits many different objects and curiosities from the 18th century to the present day: a useful and valuable treasure for all attentive visitors who are fascinated with this exotic beverage. The museum presents an interesting and varied exhibition of technologies and objects from the world of coffee: a world which for many years Torrefazione Caffè CHICCO D’ORO has loved, cared for, appreciated and brought to a broad audience, schools, pensioners and business sectors who all come here to visit the museum. Inside the museum, historical boards and the exhibition objects offer an overview of the contemporary history and the changes in the past centuries, from agricultural cultivation to industrial technologies. These are the expression of creativity and ingenuity of entrepreneurs in the different business sectors occupying themselves with coffee and the machines required to prepare this exotic beverage. For this reason, the museum not only offers a journey through the history of companies such as Torrefazione Caffè CHICCO D’ORO and through the different steps of production that go into making this great product, from the receipt of seed bags to the packaging; it also gives an insight to the rich world of this precious beverage which offers countless delights for the human soul, mind and body. This miracle is achieved thanks to high-quality coffee and the instruments and machines that transform it into a dark and aromatic “elixir”. Visits possible for groups of 15 to 20 people, with pre-booking only. Send us your request and wait for our confirmation.